Part of the Utah Transit Authority’s core mission is to make it easier for people to get-around without a car, not just with trains, buses and vans, but also through cycling. 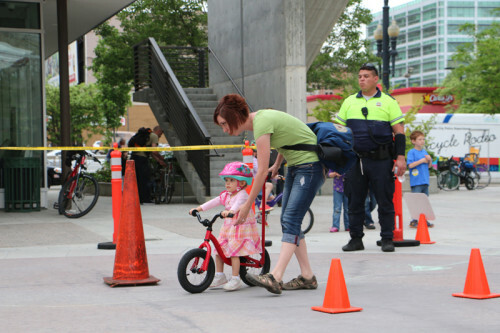 To encourage people to bike and take transit, the UTA Bike Bonanza will be held on Friday, May 15 beginning at 4 p.m. at Gallivan Plaza, 239 S. Main Street in Salt Lake City. This annual event is always a big hit with cyclists, but it’s also popular with families and those who are just taking up cycling for fun, health and as a way to get-around. At this year’s event, people can meet and ask questions of Dan Burton, the first person to ever bike to the South Pole. The Bike Bonanza will also feature booths, a kids’ bike rodeo, helmet giveaways and other prizes, and other fun activities (see below for full details. · Free pizza, Creamies and Clif Bars; free helmets while they last; vendor and information booths; free and secure bike valet service provided by the Salt Lake Bicycle Collective; and free bicycle check-ups by Saturdays Cycle. · Children's activities, including balloon art by Changing Faces; Westminster College and their smoothie bike; and complimentary child ID cards by Farmers Insurance. · Appearance by Dan Burton, the first man to ride his bike to the South Pole. Dan will give a presentation of his experience and have copies of his book, South Pole Epic, available for sale. Prize drawing for giveaways including:. · One Yuba Boda Boda Cargo Cruiser Bike and matching Nutcase Helmet from Blue Monkey Bicycles. · Helmets for the first 75 children. Helmets donated by Utah Highway Safety Office, Robert J. DeBry and Salt Lake County Bicycle Ambassadors. 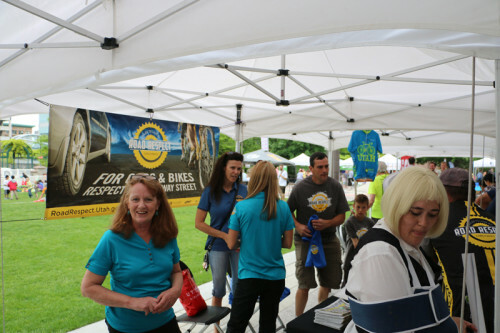 · Shirts, jerseys and outerwear from Larry H. Miller Tour of Utah. · A one-night’s stay at The Marriott Courtyard in Sandy, Utah from Woodbury Corporation. · Biking gloves and jackets from Dakine. · Two $50 gift cards. · UTA Bike Bonanza t-shirts.